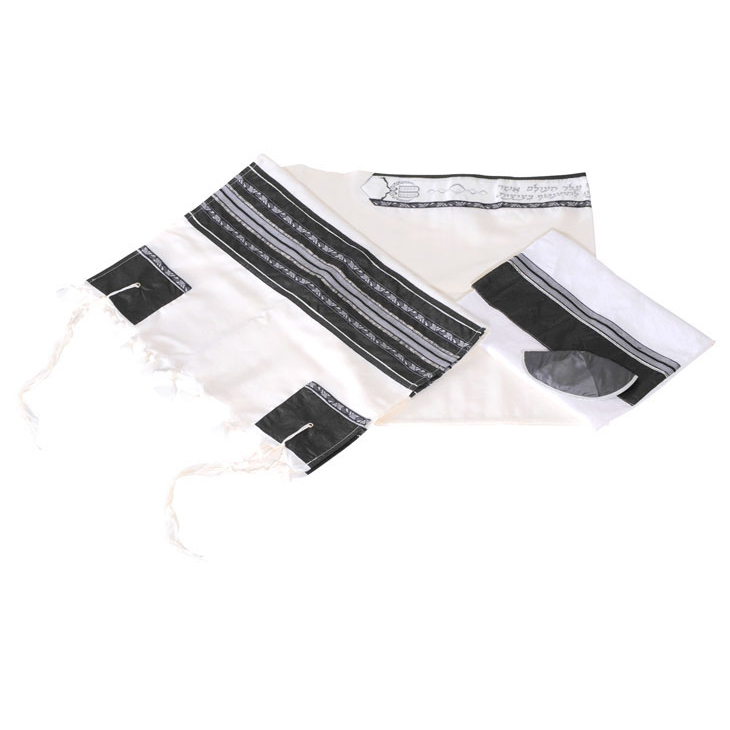 This beautiful tallit shawl and the matching kippa and bag are made of 100% pure wool. They are entirely conceived and manufactured inIsraeland every detail has been carefully chosen and hand designed. The corners are reinforced with the traditional squares made of high quality fabric and decorated in the same style as the rest of the shawl. The white background emphasizes the originality of the design elements and the silver decorations provide the shawl with a very original look.